My diary for this past week was a full one with only Monday being a day with nothing happening. On, Tuesday , I was at my local Cornwall Hospital for day one of my monthly two day I.V.I.G transfusions. On Thursday I had a scheduled routine doctors appointment at 11-00 am , but a phone call two hours before, informed me it had been cancelled. That turned out to be one less item on my busy weekly agenda. Friday was a very eventful day that began with a midday dentists appointment. With this over I returned home and got my stuff ready for the evening. 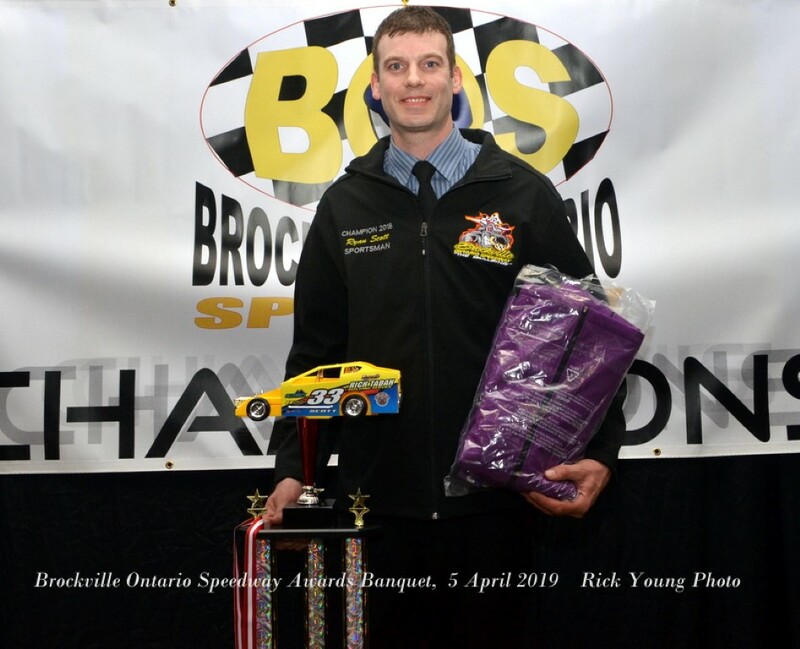 Friday night the Brockville Ontario Speedway were honoring their 2018 Champions at the annual Awards Banquet. This was the first of two pre-season events planned to kick off the tracks 50th year in operation. The other event being the CHEO Fundraiser outside the Brockville Walmart on 27th April. 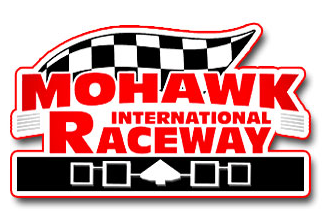 50 years ago , when the Brockville track opened, I wasn’t even living in Canada, but have a lot of fond memories for half of that period. I remember my first visit to the track on Thursday 18th May 1995 , not long after I moved to Canada from the UK. Yes, back in those days, race night was on a Thursday . 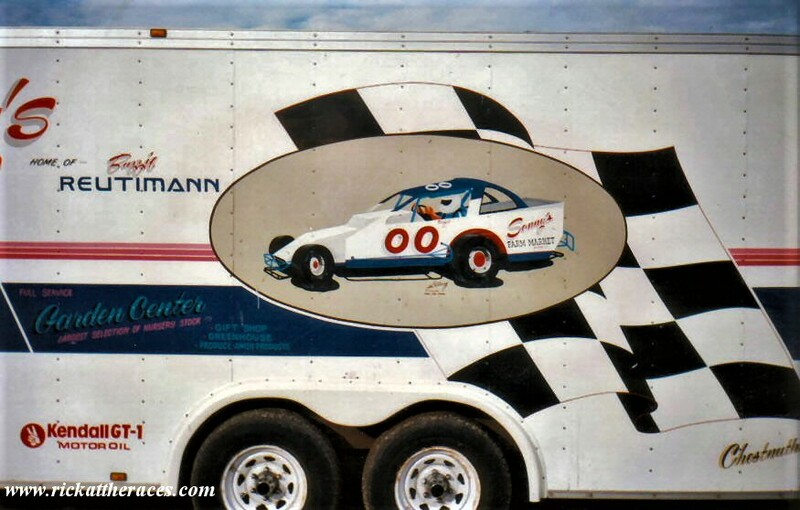 I was there early so watched from my car as the Dirt Modifieds arrived, in open and boxed trailers. My big memory of that first visit, was meeting and chatting to the great Buzzie Reutiman as he arrived at the pit gate. 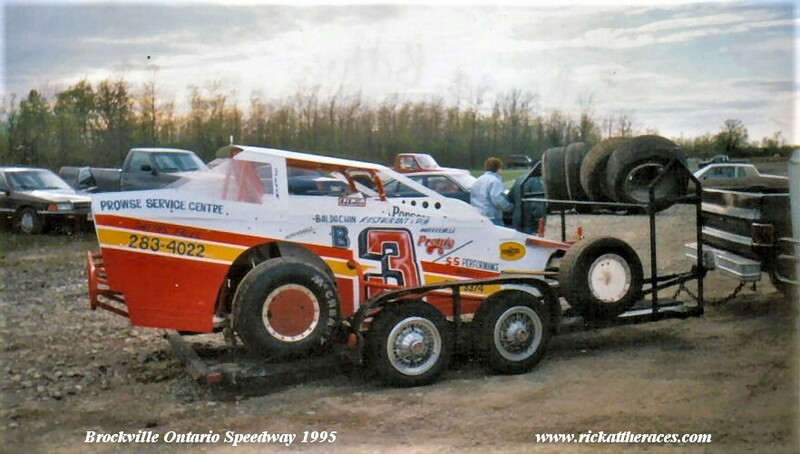 Modified Track Champion back then was Danny O’Bien, who coincidentally is the current champion. Since that day I’ve been a regular at the Speedway most weeks, and have made many friends through my photography for the media. Paul and Cheryl Kirkland have been running the place with great success since my very first visit and I’ve known them personally for many of those years. 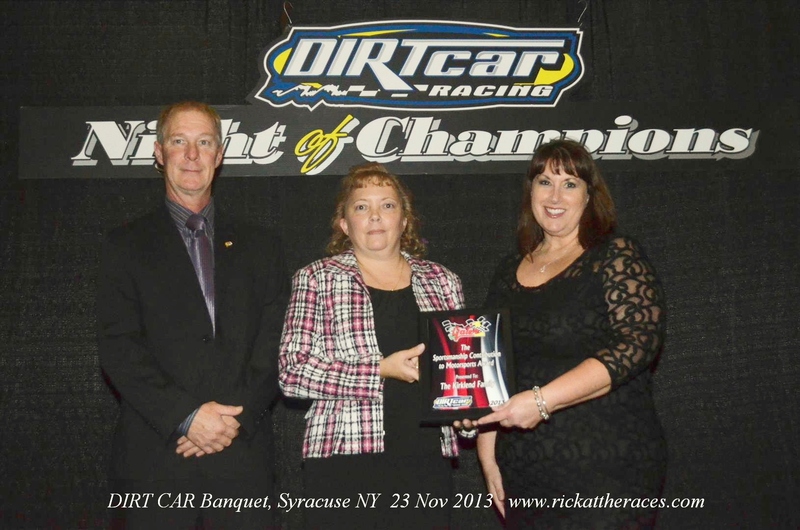 I was in attendance when they were rewarded for their services to the DirtCar organization at Syracuse in 2013. 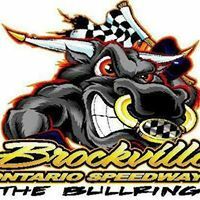 Congrats to the Brockville Ontario Speedway on the half century. 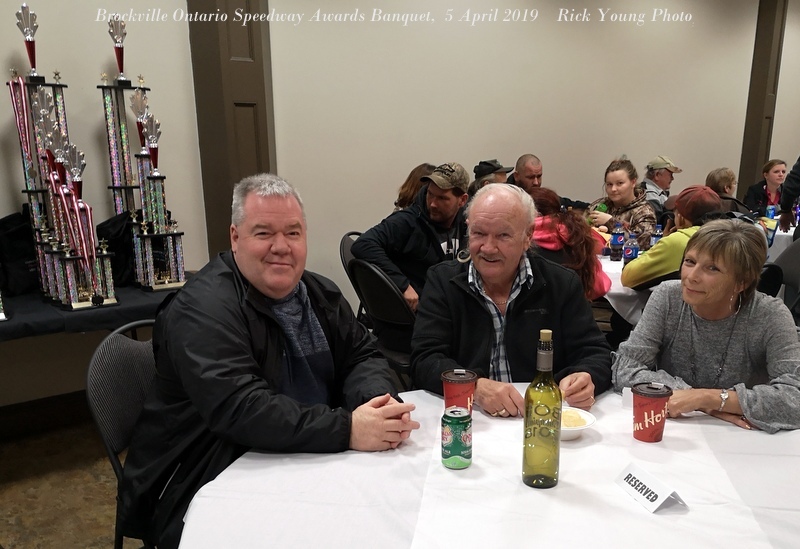 Back to 2019, and for Fridays awards night, ( 5th April 2019) I joined my buddy , former Cornwall Speedway owner, Ron Morin, and Reina for the trip to this one. The event was being held at the Brockville Memorial Center and we arrived in plenty of time to chat with friends before the start. 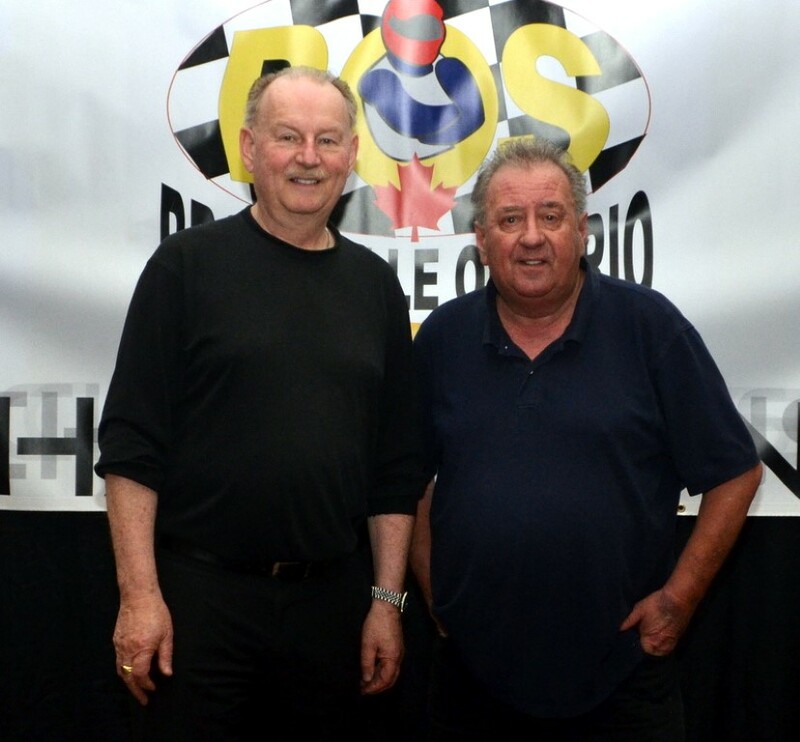 Raymond Lavergne, current Cornwall track owner also joined the table. 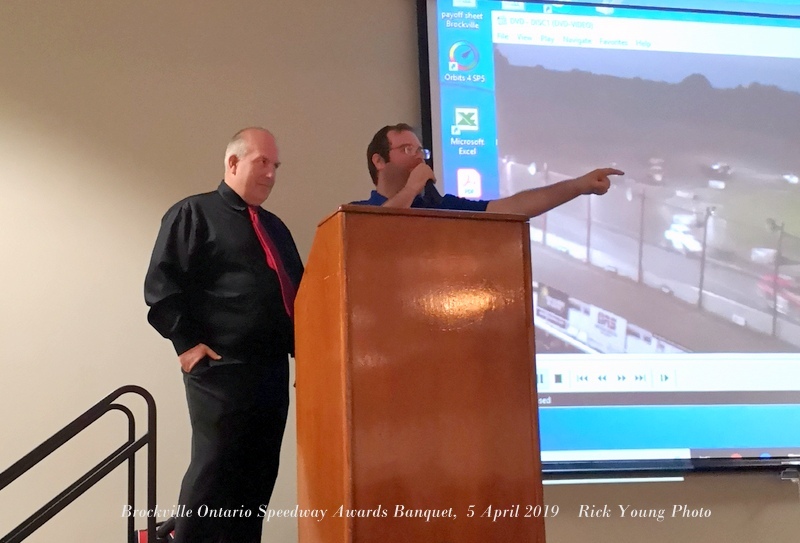 I joined Brockville’s official Photographer Henry Hannewyk , beside the stage while Tim Baltz and Jim Bourdon shared the announcing. 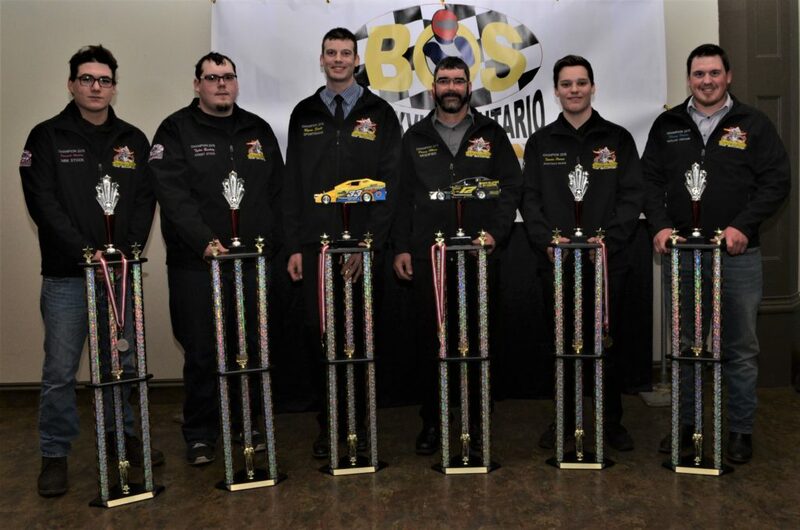 Drivers from all of the tracks six divisions were there to collect their awards. 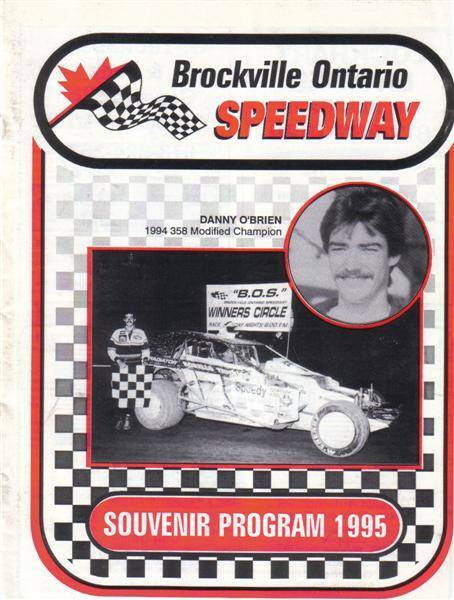 As mentioned Danny O’Brien was the Modified Champion. Ryan Scott was the Sportsman Champion. 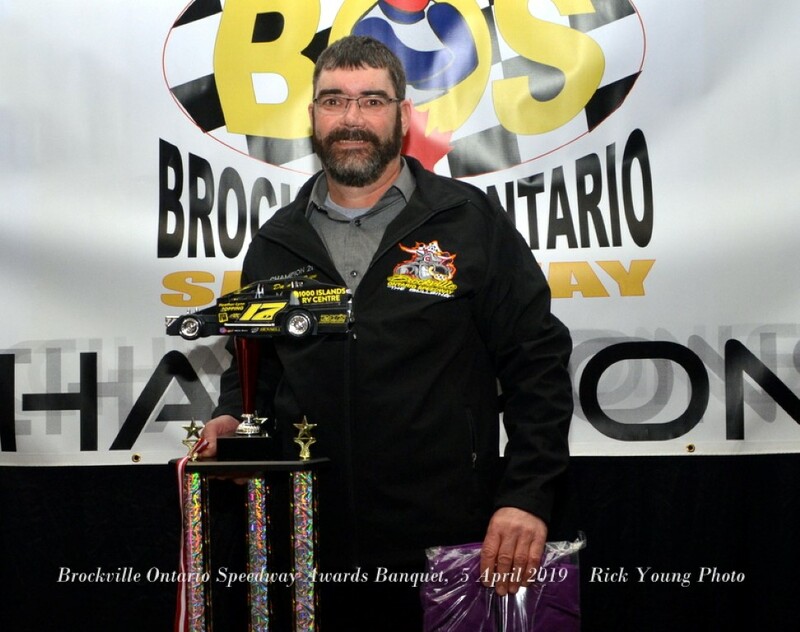 The other Championship awards went to Domonic Merkeley (Ministock) Tyler Bushey (StreetStocks) Xavier Perren (Rookie Sportsman) and Kenny Polite (Vintage). The night was all over by about 10-30 and I was soon being chauffeured back to Cornwall by Ron in his Lincoln.